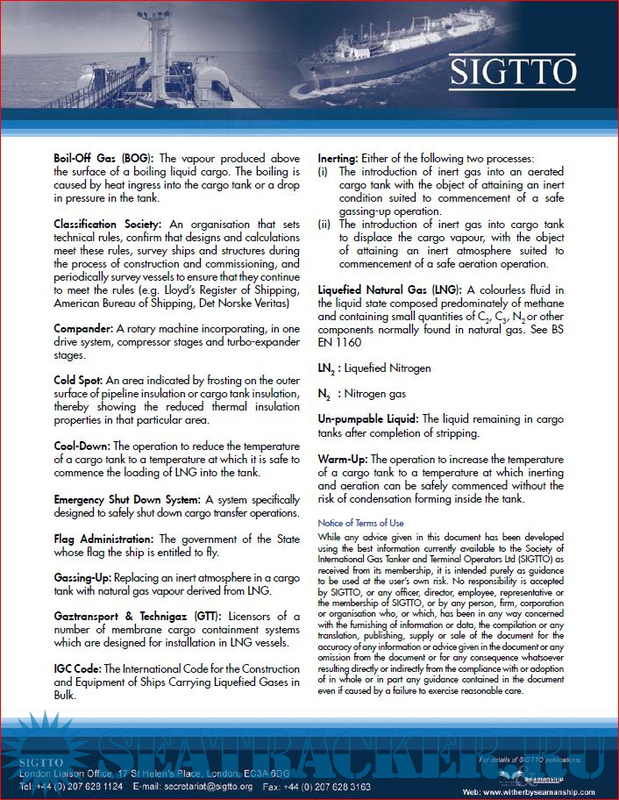 Description: The present document is mainly intended to provide all members of the Organization with the guidelines of the requirements that are applicable to the testing the LNG cargo handling systems. 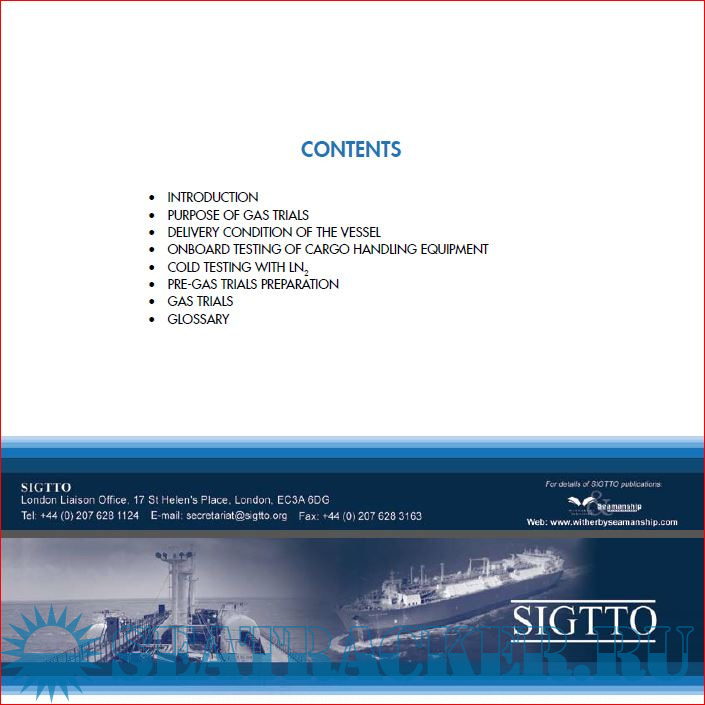 The scope of the publication shall be considered applicable to the designs featuring established membranes, SPB and spherical tanks. Note that the content shall not be extended to the prototypes and novel ship designs since they will most probably require some specific approach, for example additional testing. Moreover, this paper shall not be treated as a sort of operational procedures; it is rather an aid to preparation of a specification to be used during the gas trials. 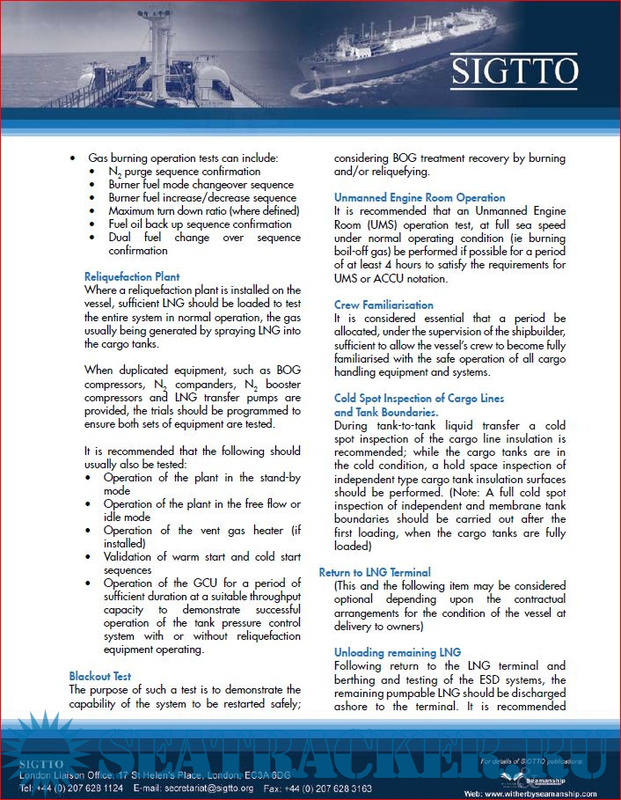 The authors have tried to address all items that have to be tested before the vessel is handed-over as well as the testing done after the delivery, at the time of loading of the first cargo. 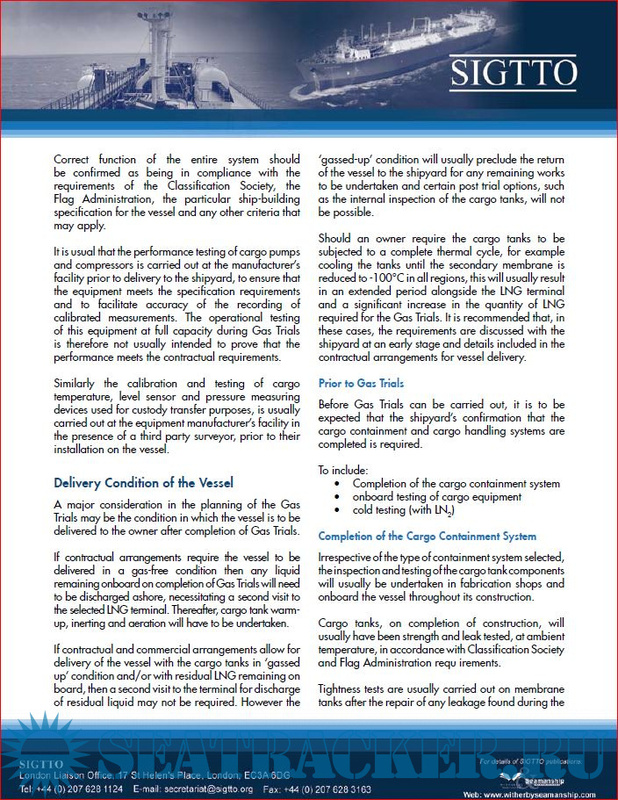 The figures there in the text of the document are indicative and it would be better to refer to the shipbuilder's/manufacturer's recommendations for figures for the particular ship. It is assumed that the trials are done by the shipbuilder before delivery, which is actually the common practice. The trials themselves are conducted to confirm the correct operation of the handling systems.